SAN FRANCISCO – The Center for Asian American Media (CAAM) is pleased to announce that CAAMFest 2017 will take place March 9-19 in the San Francisco Bay Area. CAAMFest is an 11-day feast for the senses, with film, music, food and digital media from the world’s most innovative Asian and Asian American artists. Celebrating its 35th year, CAAM turns the lens on itself, peering back to the festivals and themes of yesterday, exploring the organization and CAAMFest in its current form today, and looking ahead to future iterations and directions for the Festival. CAAMFest 2017’s expansive and diverse slate of programming will be on display in a variety of stunning and culturally rich venues in San Francisco and the East Bay, including the Castro Theatre, Asian Art Museum, New People Cinema, Alamo Drafthouse, New Parkway Theater, Jewish Community Center, Roxie Theater, Gray Area Foundation for the Arts, and Oakland Museum of California. This year’s festival boldly explores visibility and perspectives through a diverse and interactive media, from the charming resolve in Opening Night’s “The Tiger Hunter” (Bay Area premiere) to the ever-relevant struggles explored in Closing Night’s “The Chinese Exclusion Act” (West Coast premiere), and shines light on the cultural identity, community intersectionality and political landscapes that Asians and Asian Americans constantly navigate. “The Tiger Hunter” is the first feature film from director Lena Khan. The endearing and light-hearted story follows Sami (Danny Pudi), a young Indian engineer who moves to America during the 1970s wave of South Asian immigration to gain wealth, live up to the notoriety of his legendary tiger-hunting father, and above all, win the favor of his childhood sweetheart Ruby. As reality hits and Sami quickly learns his dreams will be harder to achieve than he thought, Sami is forced to look inward and decide what kind of person he wants to be. Khan’s film is a testament to the immigrant experience, and the meaningful, invaluable contributions they make to American history and society. 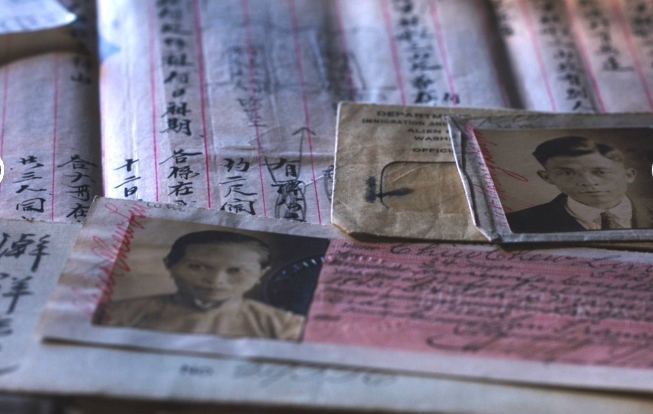 “The Chinese Exclusion Act” is directed by award-winning filmmaker Ric Burns and longtime collaborator Li-Shin Yu. History mirrors today’s politics in this enlightening documentary, co-produced by CAAM for PBS, that explores the causes, consequences and impact of the only federal legislation in U.S. history to single out and name a specific race and nationality for exclusion from immigration and citizenship. It sheds light on the history of immigration and the evolving meaning of American identity, something that has become even more relevant in recent weeks. CAAM would like to acknowledge the National Endowment for the Humanities, Corporation for Public Broadcasting, PBS and “The American Experience” for their contributions to the film. Centerpiece Documentary: “Who Is Arthur Chu?” (West Coast premiere, following recent Slamdance world premiere), drected by Scott Drucker and Yu Gu. This film explores the question behind the “Jeopardy!” game show answer. Follow the 11-time “Jeopardy!” champion, media-labeled as a “villain,” writer and internet iconoclast, as he traverses a post-“Jeopardy!” world where fame brings both a platform and cyber-bullying. As Chu builds a larger following through writing, public speaking and participation in the infamous #Gamergate movement, he reflects on his youth, his family relationships and his identity as a Taiwanese American. Centerpiece Narrative: “Window Horses: The Poetic Persian Epiphany of Rosie Ming” (U.S. premiere), directed by award-winning filmmaker Ann Marie Fleming. 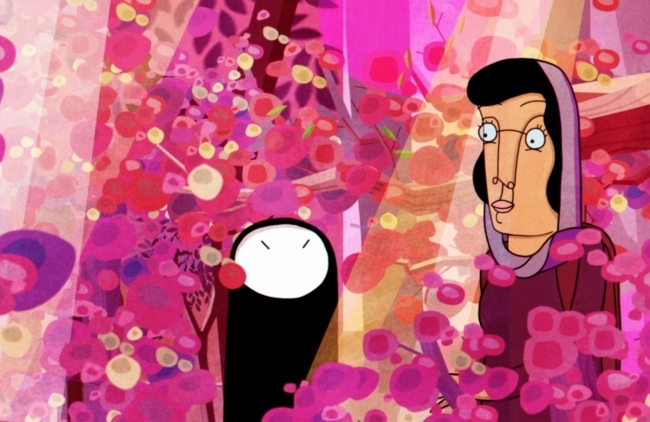 An exquisitely animated film about the physical and inner journey of Rosie Ming, a young Chinese-Iranian girl (voiced by Sandra Oh) whose poetry carries her on a trip from her Canadian home to a festival in Iran. When she leaves her loving and worrisome grandparents behind and meets an eclectic and seasoned group of confident poets, Rosie finds her true voice as an artist, and unveils a deep family secret. Ellen Page and Shohreh Aghdashloo provide additional voices. CAAM celebrates 35 years of advancing Asian American media and evolving its platform for Asian and Asian American voices. During the Festival, revisit three films from CAAMFests of yesterday, and view an even broader collection streaming online. • “The Fall of the I-Hotel,”​ by Curtis Choy, examines the impacts of urban renewal with the story of 50 old-timers who were displaced by 300 cops in the dead of night, marking the destruction of the last block of San Francisco’s Manilatown. 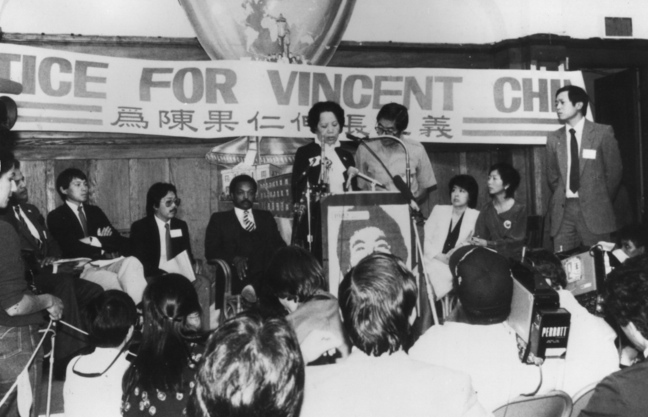 • “Who Killed Vincent Chin?” by Christine Choy and Renee Tajima-Peña, is an Academy Award-nominated documentary that explores the aftermath of the violent murder of Vincent Chin at the hands of two white men who were convicted but never served a day in prison. • “Yellow”​ by Chris Chan Lee celebrates its 20th anniversary this year, telling the story of eight high school friends who go on a wild and desperate scavenger hunt to help a friend who was robbed. 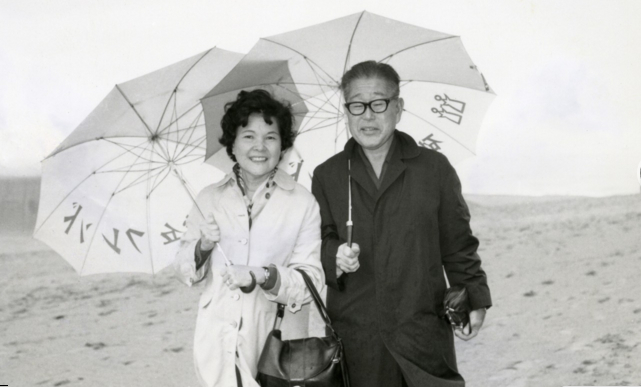 Spotlight: Documentarian Emiko Omori, whose career spans decades, including CAAM’s very first festival in 1981. CAAMFest spotlights two of Omori’s films that uncover beautifully intimate stories and perspectives. • “Rabbit in the Moon,” an award-winning documentary on Japanese American internment, explores Omori’s own childhood experiences within the camps and the complex, political tensions between the generations held there. • “When Rabbit Left the Moon,” a poetic follow-up to “Rabbit in the Moon,” is a short film that pays tribute to the generation of Omori’s parents. Spotlight: Ham Tran, a leader in Vietnam’s new film industry, who has honed his craft of storytelling through a diverse collection of films and genres. See his two most recent features at CAAMFest. • “Bitcoin Heist” is an action-adventure set in the world of complex digital connectivity where a cop teams up with criminals to pull of the ultimate heist and capture a “ghost” hacker who stole billions of dollars in bitcoins. • “She’s the Boss” follows two co-workers whose secret relationship could compromise their employment. With a supporting cast of goofy and endearing characters, the couple tries to sabotage one another into quitting their job so both can get married. 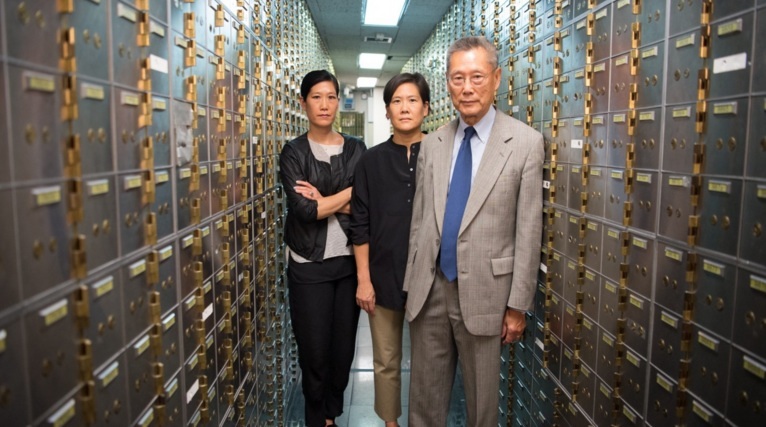 CAAM marks the 75th anniversary of the forced relocation and incarceration of Japanese Americans during World War II with a series of bold new documentaries that explore this painful moment in America’s history and urges others to defend those under threat of similar injustice. 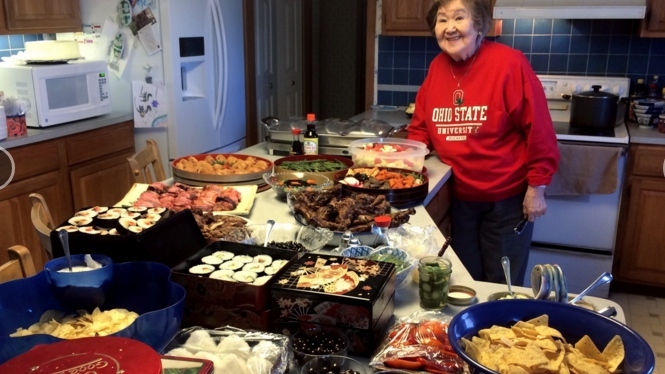 • “Good Luck Soup” by Matthew Hashiguchi sorts through home video and family interviews to examine identity and a story of growing up mixed race in America’s heartland, Cleveland, Ohio. • “Relocation, Arkansas — Aftermath of Incarceration” by Vivienne Schiffer follows Japanese Americans on a touching journey of strength and identity as they travel to former camp sites in order to move forward from a painful past. • “Resistance at Tule Lake” by Konrad Aderer focuses on the notorious camp where Japanese Americans labeled “disloyal” were held. Emotional stories make clear the consequences of race, wartime hysteria and political expediency. From New Zealand to Hawaii, celebrate the resilience, wisdom and creativity of the Pacific Islander community in Pacific Islanders in Communications’ Pacific Showcase. • “Ever the Land” by Sarah Grohnert embarks on a landmark cultural construction project in the lush forests of New Zealand and its vital ties to an indigenous Maori tribe. • “Poi E: The Story of Our Song” by Tearepa Kahi revisits the simple song that took New Zealand by storm, and the pride it continues to inspire more than 30 years later. • “Visions in the Dark: The Life of Pinky Thompson” by Ty Sanga explore the story of Hawaiian Pinky Thompson, who fought for education and healthcare reform for Native Hawaiians. (Preceded by short, “Ku Kanaka/Stand Tall,” directed by Marlene Booth). CAAM continues festival programming in San Francisco’s Chinatown, the oldest and largest Chinatown in North America. Soak in the rich history and community with a series of films overflowing with culture and perspective. • “Eat Chinatown”​ is a mouth-watering collection of shorts, part of the Eat Chinatown Spring Exhibit. • “The People’s Hospital” by Jim Choi and Chihiro Wimbush tells the endearing story of the Chinese Hospital, the last independent San Francisco hospital. The fifth iteration of “Memories to Light,” CAAM’s innovative Asian American home movie initiative, presents a compilation from California’s Central Valley, accompanied by live music from musicians led by the acclaimed Mark Izu. “Brown Girls,”​ a new web series directed by Sam Bailey and loosely based on creator Fatimah Asghar’s own life, paints an intimate portrait of two young women of color navigating their relationships, families, sexual orientations and the messiness of being in your mid-20s. Music and film: ​12 years strong, crowd favorite “Directions in Sound” has been the premier Asian and Asian American music gathering of emerging and cutting-edge artists. Carrying sounds to screen, CAAMFest rounds out the program with three musically minded films. A CAAM-Kollaboration SF team-up presents a live-performance playlist of artists that hit all the right notes, including DANakaDAN, Satica, Traktivist, Eko Zu and QSTN. 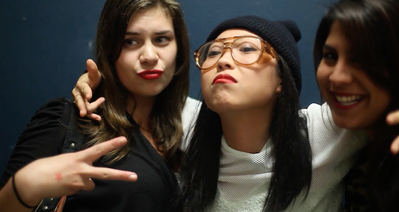 • “Bad Rap” by Salima Koroma follows Asian American rappers Awkwafina, Dumbfounded, Rekstizzy and Lyricks as they break ethnic and music-industry stereotypes. Features live performances from the film’s highlighted artists in partnership with Jewish Community Center of San Francisco. • “In Search of Perfect Consonance” by Ruby Yang takes a journey across Asia with hopeful young musicians, illustrating their passion and dedication. Features a live performance at Jewish Community Center of San Francisco. • “Untitled Thao Nguyen Documentary” by Todd Stan Krolczyk follows S.F.-based indie singer-songwriter Thao Nguyen on her travels to Vietnam to reconnect with family and culture. Festival Social Club, the official CAAMFest after-party, is the chance to rub elbows with filmmakers, artists and fellow attendees. Hang out, celebrate and unwind. • “Cardinal X” by Angie Wang, revisits the ’80s, where a young woman loses her college scholarship and begins a double life as student/Ecstasy-manufacturer to make ends meet. • “Chee and T” by Tanuj Chopra introduces a dynamic duo whose adventures in Silicon Valley capture the growing pains of becoming an adult in an overtly selfish world. • “Gook” by Justin Chon explores the Korean American experience during the 1992 L.A. uprising, as two brothers struggle to maintain their family’s shop amidst tense rioting. • “Light” by Lenora Lee and Tatsu Aoki combines dance, memory, music and poetry to paint an intimate portrait of a 20th-century migrant in New York’s Chinatown. 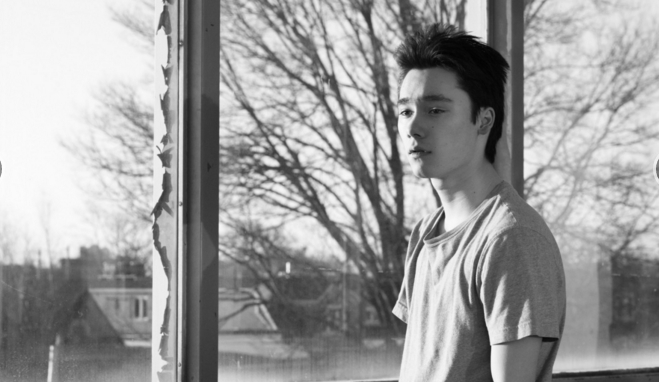 • “The Lockpicker” by Randall Okita enters the mind of a teenage thief haunted by loss and violence, with a furious, adolescent desire for both intimacy and escape. • “Wexford Plaza” by Joyce Wong shows how an unexpected encounter between two friends at the strip mall leads to the fallout of mixed messages and emotional baggage. Follow outsiders as they work for visibility, success and even survival, looking to the past, present and even the future. • “95 and 6 to Go” by Kimi Takesue is a moving tribute to Takesue’s grandfather, capturing moments in his life and the wisdom found in his own story of love and loss. • “AKA Seoul” by Jon Maxwell travels with five Korean adoptees, raised around the world, as they return to Seoul, finding cultural experiences and tearful reunions. • “Finding Kukan” by Robin Lung rediscovers the long-lost Academy Award-winning “Kukan” and the racial and gender prejudice throughout its production and success. • “Mixed Match” by Jeff Chiba Stearns is an intimate look at the complex challenges facing multiracial individuals searching for a bone marrow donation match. • “Random Acts of Legacy” by Ali Kazimi reveals an unfiltered perspective from a first-generation Chinese American experience in Chicago from the 1930s to 1950s. • “Re:Orientations” by Richard Fung traverses a spectrum of LGBTQ+ voices as they grow and evolve through three decades of community, politics and identity. ​Explore international horizons with stunning perspectives and stories from China, India, Japan, the Philippines, Singapore, South Korea, Vietnam and many more destinations. • “Apprentice” by Boo Junfeng collides morality and history when a young prison guard forms a budding partnership and apprenticeship with the chief executioner. • “Bachelor Girls” by Shikha Makan dives into the complicated world that single, independent women in Mumbai face as they try to find both housing and acceptance. • “Blanka” by Kohki Hasei tells the story of a street kid who discovers her talents, joins forces with a blind musician and struggles to save enough money to “buy” a mom. • “Guangzhou Dream Factory” by Christiane Badgley captures the hopes of striking it rich in China, and how they spread to, influence and impact people living in Africa. • “Hang in There, Kids!” by Laha Mebow journeys with three indigenous boys on their last sixth-grade field trip to the city, and the personal struggles they solve along the way. • “Harmonium” by Kôji Fukada reveals secrets and deceptions when a family’s ordinary life takes a drastic turn after a familiar face from the past reenters their world. • “The Moment” by Wong Kwok Fai explores the bonds across family, lovers and friends through the story of four damaged relationships. • “My Next Step” by Cheuk Cheung documents fading traditions of opera in modern China, and an intimate portrait of a last wusheng (martial hero) performer. • “Plastic China” by Jiu-Liang Wang, sorts through a family’s struggle to achieve a richer life, surrounded by mountains of plastic. • “Singing in Graveyards​” by Bradley Liew enters the out-of-touch and out–of-mind world of a musician bent on following the footsteps of his Pinoy rock legend idol. • “The Tenor” by Kim Sang-Man chronicles the inspirational journey of a South Korean opera singer who struggles to get back to the stage after losing his voice to cancer. ​Now into its fourth year in Oakland, CAAMFest’s East Bay programming continues the fantastic success of last year’s kickoff at the Oakland Museum of California (OMCA). Following OMCA, indulge in a phenomenal lineup of films at the New Parkway Theater and experience an all-new family-friendly event at the Oakland Asian Cultural Center (OACC). • “Blasian Narratives” is the kickoff event for CAAMFest’s second weekend. Head to the OMCA for half-price admission, delicious snacks from Off the Grid food trucks, art workshops for the whole family, music and spoken word. Capping off the evening will be the premiere of creator Jivan Atman’s “Blasian Narratives,” a multimedia presentation that unravels the complexity of black and Asian relations. • “Inside the Mind of a Creator: Sharing History and Culture Through Children’s Books”​ is a family-friendly event at the OACC where children’s book and graphic novel creators share their inspirations, process and personal stories with guests. CAAMFest is supported in part by the following: Xfinity, 96.5 KOIT, Asian Art Museum, AT&T DirecTV, AARP, Buick, Cooper White & Cooper LLP, Fitness SF, NBCUniversal, Pacific Islanders in Communications, Pacific Standard Print, Remy Martin, San Francisco Symphony, Umpqua Bank, Girl Friday Events, SAG-AFTRA, University of San Francisco, Academy of Motion Picture Arts & Sciences, California Humanities, Consulate General of Japan in San Francisco, Consulate General of the Republic of Korea in San Francisco, Corporation for Public Broadcasting (CPB), Hong Kong Economic and Trade Office in San Francisco, Japan Foundation, Los Angeles, National Endowment for the Arts, San Francisco Grants for the Arts, Hotel Tax Fund, Wells Fargo Foundation and the William and Flora Hewlett Foundation. San Francisco — 41 Ross, 41 Ross Alley; Alamo Drafthouse Cinema-New Mission, 2550 Mission St.; Asian Art Museum, 200 Larkin St.; Castro Theatre, 429 Castro St.; Gray Area Foundation for the Arts, 2665 Mission St.; Great Star Theater, 636 Jackson St.; Jewish Community Center of San Francisco, 3200 California St.; New People Cinema, 1746 Post St.; Roxie Theater, 3117 16th St.
Oakland — The New Parkway Theater, 474 24th St.; Oakland Asian Cultural Center, 388 9th St.; Oakland Museum of California, 1000 Oak St. Ticket prices for regular screenings range from $12-$14, excluding special events and galas. Attendees can purchase tickets at the CAAMFest box office at the Alamo Drafthouse. Purchase tickets and learn more at ​www.caamedia.org. CAAMFest was formerly known as the San Francisco International Asian American Film Festival (SFIAAFF). CAAM was formerly known as the National Asian American Telecommunications Association (NAATA).